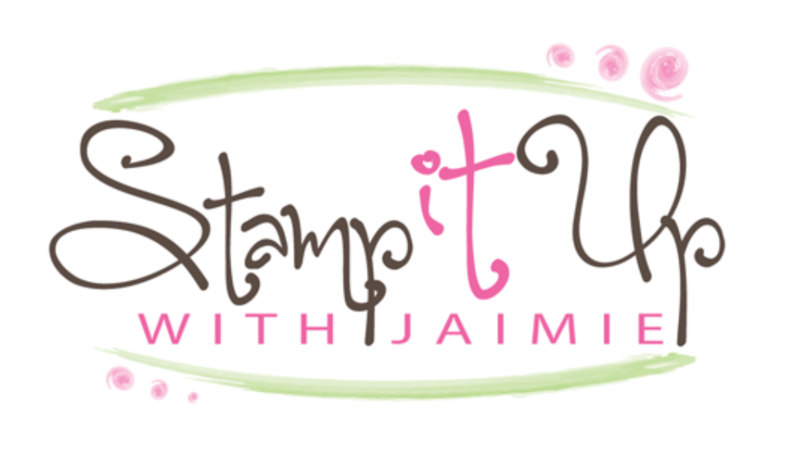 I used the Let It Ride stamp set from the upcoming Stampin’ Up! 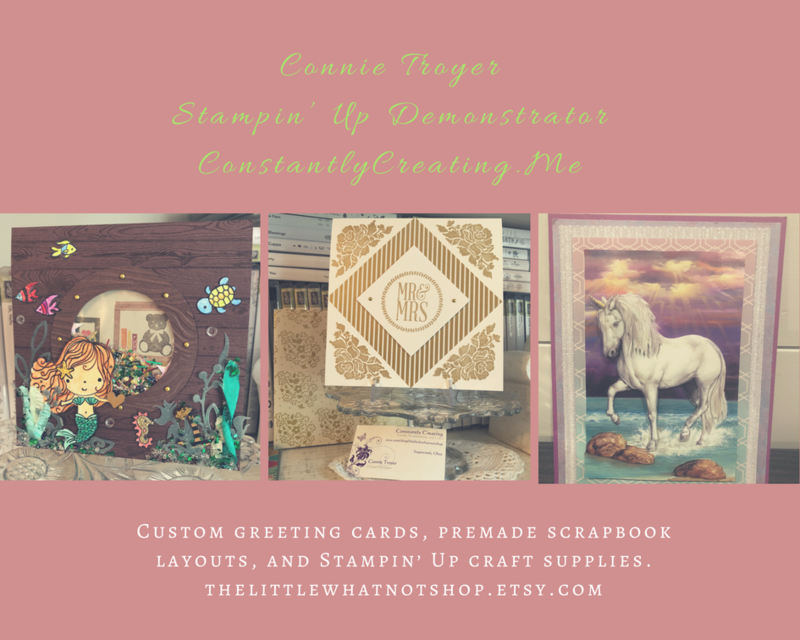 2019 Occasions Catalog to create my card to share with you today. I started by stamping the image from the Hardwood stamp set in Soft Suede ink on a panel of Soft Suede card stock. I adhered the stamped panel to a larger panel of Soft Suede card stock with SNAIL and then wrapped a strand of 3/16″ Braided Linen Trim around it and tied a small knot. I adhered the layered panel to a Soft Suede card base with Stampin’ Dimensionals. I stamped the horse image and sentiment from the Let It Ride cling stamp set (available Jan 3) in StazOn Jet Black ink on a panel of watercolor paper and then used an Aqua Painter and Pear Pizzazz, Pool Party and Cajun Craze inks to color the image. I added a few accents with Soft Suede ink and a Blender Pen on the horse. Then I inked and stamped off the ink splatter image from the Artisan Textures stamp set in Pear Pizzazz ink and then Pool Party ink and I stamped it around the edges of the panel. Once the watercolor panel was completely dried, I adhered it to a panel of Cajun Craze card stock with Multipurpose Liquid Glue and then to the card front with Stampin’ Dimensionals. I added three gold pearls from the Metallic Pearls pack to finish the card front. I stamped the smaller horse image from the Let it Ride stamp set in Soft Suede ink on a panel of Whisper White card stock to finish the inside of the card. This entry was posted in Congratulations, For a Friend, For You and tagged CAS card, congratulations card, for you card, Hardwood, Let It Ride. Bookmark the permalink. This is really beautifully done Amy. How cute. Love the coloring and so clean! Nice card – excellent coloring – and…who doesn’t love a card with horses on it!?! ?